Engine: MQ code L78 375ci. 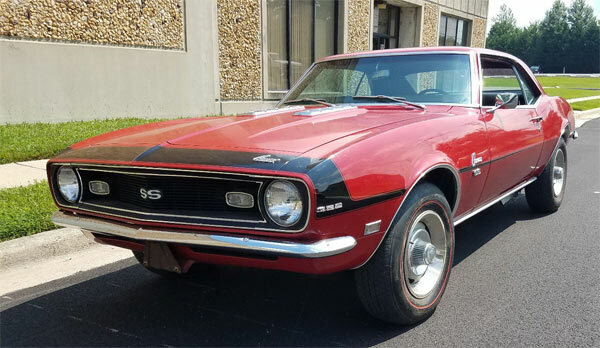 Here we have a 1968 Camaro SS 396 which has apparently been in storage for the last 27 years, is 1 of 4575, numbers matching and in remarkably good condition. The car has been repainted in its original Matador red in the late 70s. 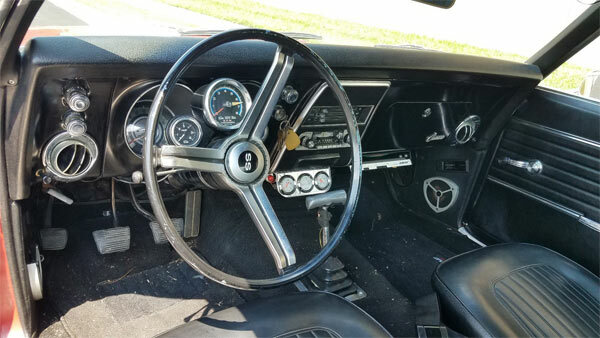 The car is said to be virtually rust free and it’s clear from the wide tires and a few added buttons on the dash, that this car could have been used for a bit of drag racing in th past, especially with the tachometer on the steering column. however, that aside , interior and exterior are in great shape, with only a dulling of the paintwork and minor things to fix on the interior. 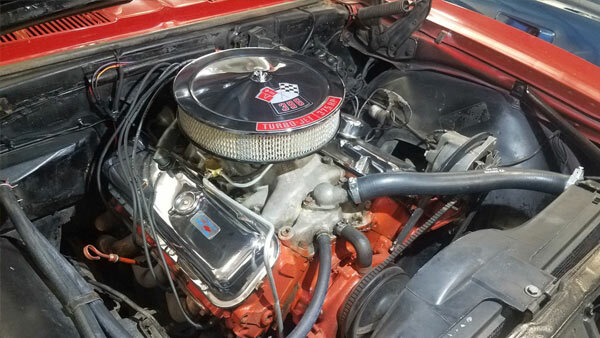 The engine is said to be ‘extremely strong’ with its Mickey Thompson valve covers, M22 transmission and 3.73 rear end. 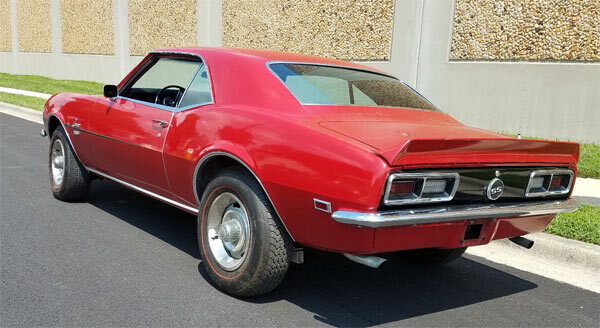 This example is in great condition from its years of storage and as the prices are increasing all the time for an original SS Camaro this one should at least be shortlisted if you’re in the market for one of these vintage classics. Next Story → 1972 Dodge Challenger 4×4 Is Really For Sale!